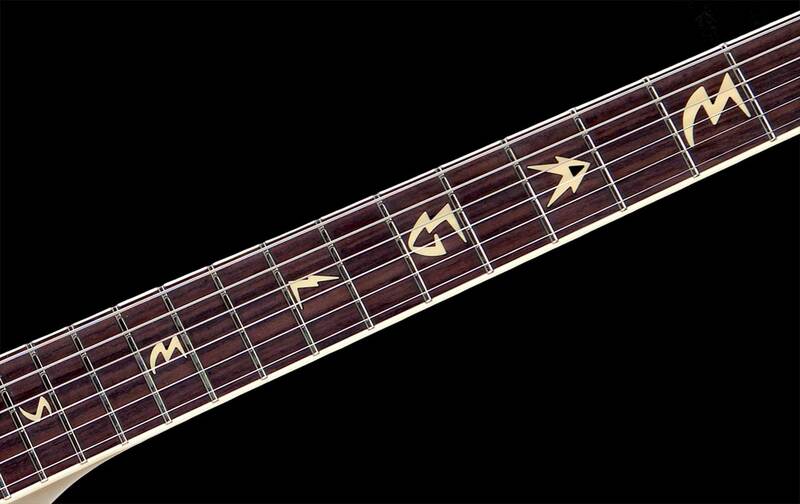 We are proud to announce that The Eagles and Duesenberg Guitars have collaborated in designing a special guitar to celebrate their 40th Anniversary. 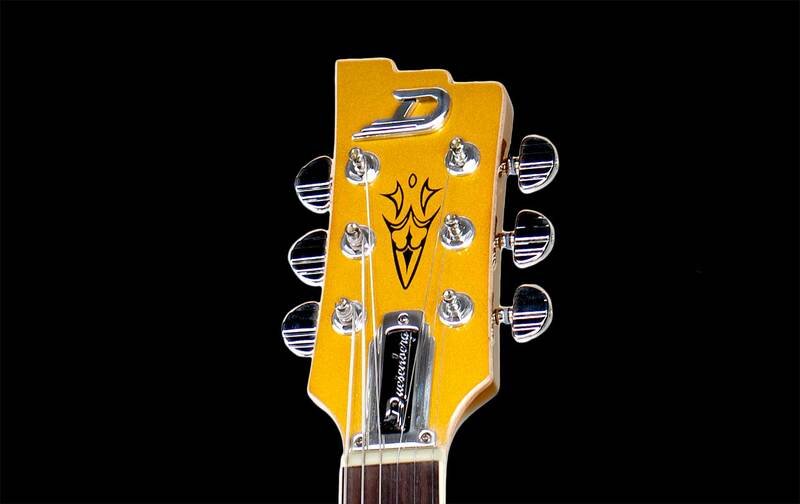 The Duesenberg Eagles Series features the DCF Eagles Signature Guitar. The instrument is based on our Fullerton double-cutaway series. We have taken this Duesenberg Eagles Series to a whole new level in class and style. The elegance of this custom gold sparkle paint along with raised 3D wings on the lower part of the body makes you realize that this is beyond your normal guitar. 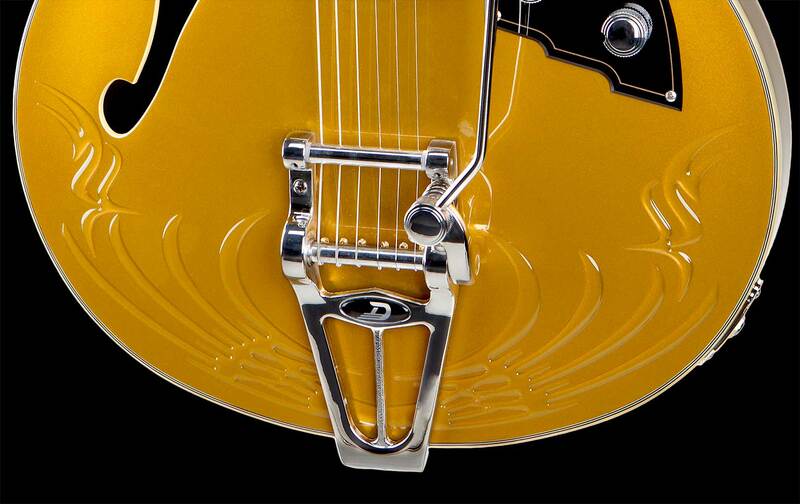 The custom inlays of the bands name on the fingerboard coinciding along with all of the hardware being silver plated provides your Duesenberg Eagles Series in a class of its own. The basis of the DCF guitar is "state of the (Duesenberg) art:" a semi-acoustic maple body with carved spruce top and sustain block, a durable maple neck with rosewood fretboard, a pickup assembly with Domino P 90 and GrandVintage humbucker types and the renowned Duesenberg Deluxe Tremola. 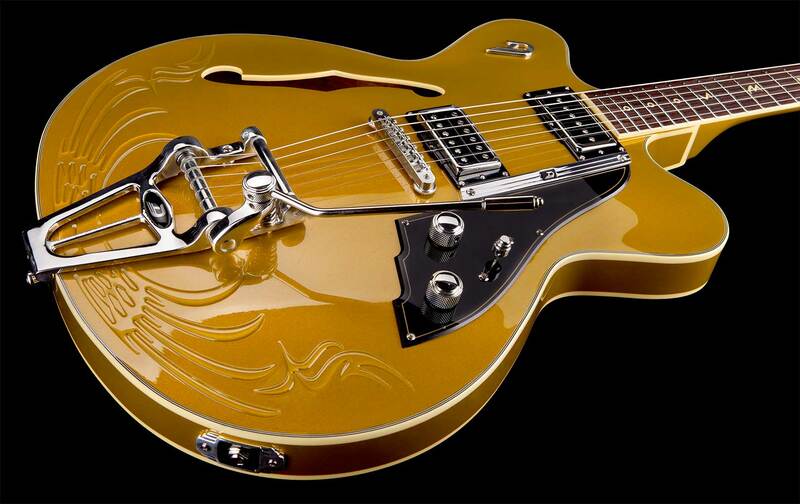 To celebrate the 40th anniversary of the Eagles, Duesenberg delivers the perfect guitar.